This is a wonderful quick and easy dinner. It feels strange writing a recipe for one, I rarely have to cook for one anymore, however sometimes Antony works away so I experiment with recipes to cook for him when he is home. 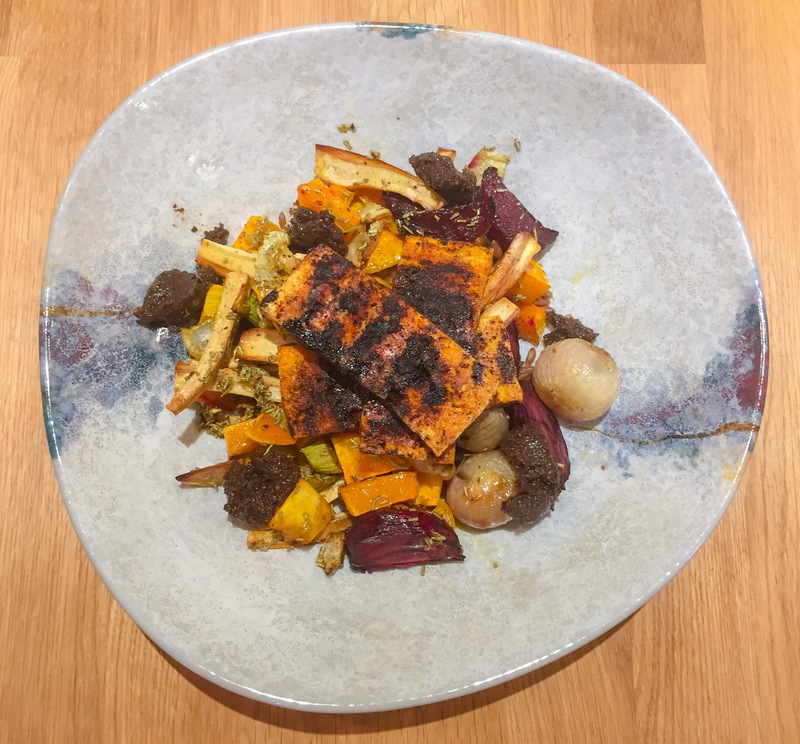 The seared tofu in this dish brings a wonderful smokey flavour to it and a great way to add protein. The black olive and fig tapenade we bought from the Leith Market, Vegan Quarter and it is amazing and goes beautifully with the tofu. It would be fine to make this without it as I know not everyone will be able to get hold of some! 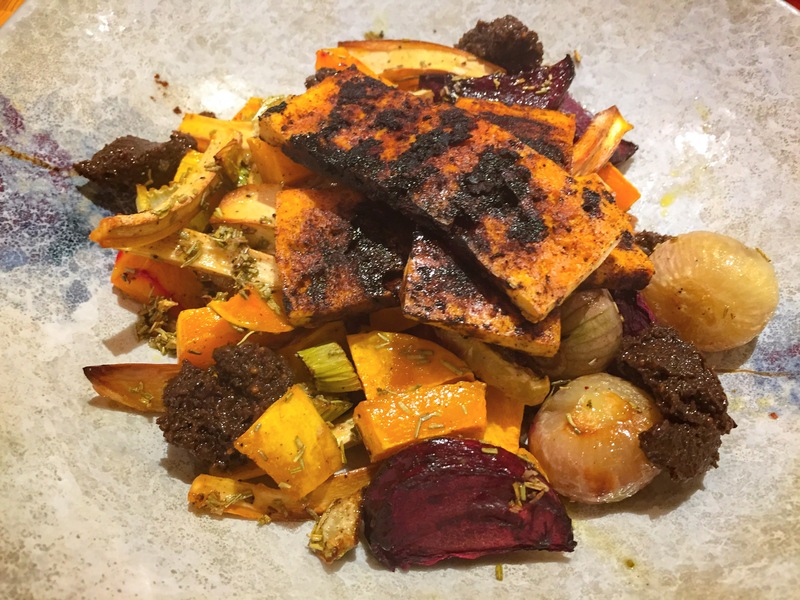 I know I roast vegetables all the time, but well roasted winter vegetables are a wonderful basis for any autumnal and winter meal. We also get a fantastic organic vegetable box every week. It is one of the best vegetable box schemes I have come across. Every week we get a different selection of in season organic fruit and vegetables. We have gone from golden beetroot and cavelo nero to kohlrabi and red cabbage. It is brilliant as it means each week I have to think about new and exciting things to cook with the vegetables. 1 beetroot, peeled and cut into 8ths. When everything is nearly ready mix the tofu in a bowl with the soy sauce and smoked tofu. Sear the tofu in a griddle pan on a high heat for a couples minutes on each side. To assemble mix the spelt with the roast vegetables, then put into your bowl. Place the tofu on top then dot the tapenade on the top.